A group of poverty-stricken students. A father with a disabled child. An elderly, unemployed single woman. What do these individuals have in common? They've survived on the kindness of strangers to have basic sustenance. There are many reasons to this, from the rising cost of living to physical challenges that hinder some from making ends meet. The issue is very real. There are people, even in urban areas, who are going hungry and this is definitely not by choice. These group of people often live in uncertainty, not knowing where their next meal is coming from. 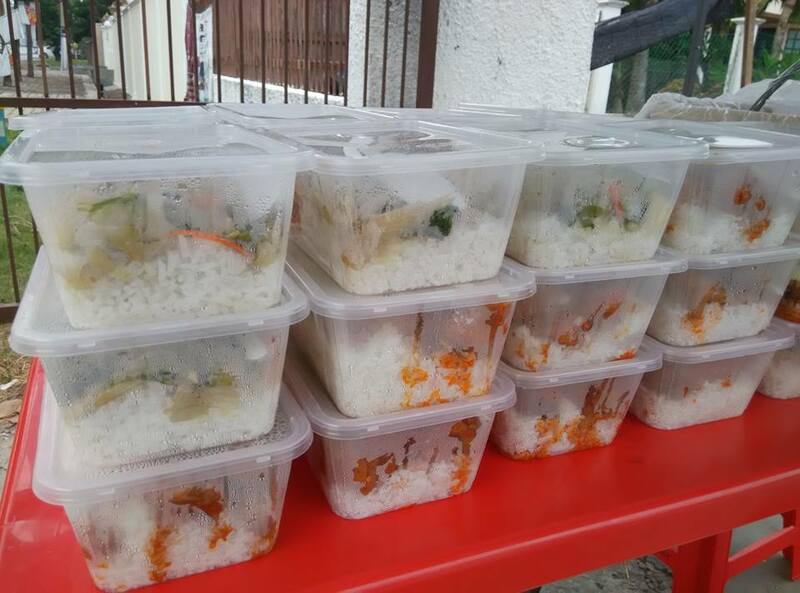 This is why the Great Heart Community Centre (GHCC) in Klang exists, to serve and ensure that the needs of the community will be met — starting from the most basic one such as making sure that they have access to nutritious staples and not starve through its 'Lunch Box For The Hungry' food donation project. 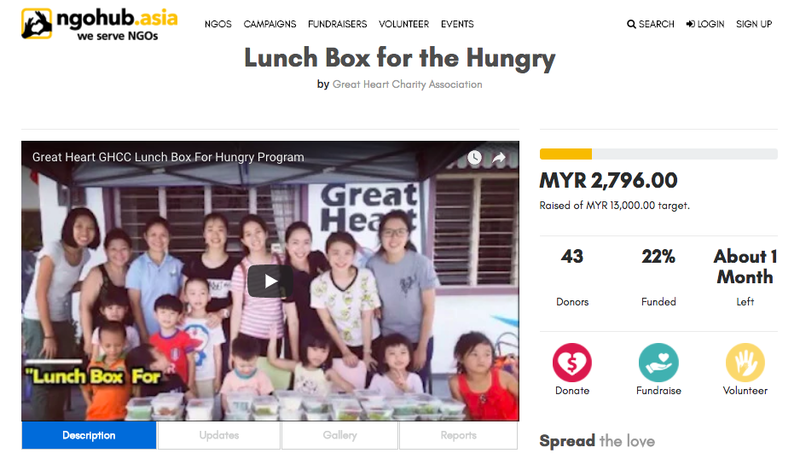 The NGO behind GHCC, Great Heart Charity Association (GHCA), shared with us some real-life stories about the people they have been serving since the 'Lunch Box For The Hungry' project started two years ago. We came to know about the story of Madam Ng, a 67-year-old woman who is living alone. Nobody wants to hire her due to her age and she relies on her savings which she accumulated during her younger days to survive. Then, there's a 80-year-old man known as Mr Chong. Mr Chong, despite being in his golden years, carries the burden to care for his 77-year-old wife and his 53-year-old disabled son. Since his wife is very old and sick, she is unable to cook. Both Madam Ng and Mr Chong are regulars at the GHCC, as they've been joining the project to get food. While the amount may seem small to some, Madam Ng is extremely grateful that she's able to save up to RM15 per week while Mr Chong can save up to RM45 a week as his family's meals are covered by GHCC. They've told GHCA that the programme has helped to lighten their burdens. Many people, like Madam Ng and Mr Chong, have benefitted from the project over the last two years. This is why the volunteers at GHCC continue to give out free lunch boxes three times a week until today. 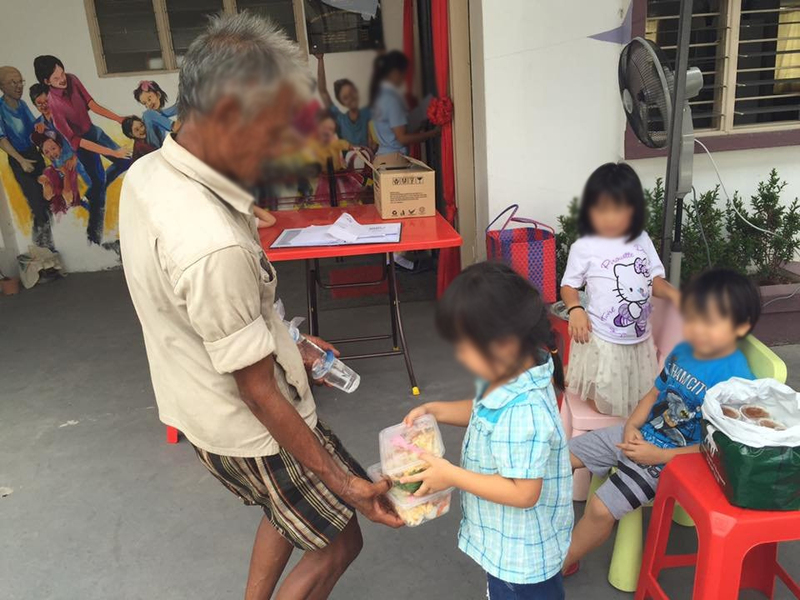 Every Tuesday, Thursday, and Saturday, the hungry and destitute would go to the centre to get free meals. On a typical day, about 100 people would go home happy with their tummies filled. While handing out food may not be the most ideal solution to address the issues at hand, it's the first step in ensuring that people in need do not go hungry and have one less thing to worry about. The long term plan is to help these individuals improve their livelihood and get out of poverty. In fact, the 'Lunch Box For The Hungry' project is just one of the many initiatives that are being run by Great Heart Charity Association. Each of this session is designed to cater to 100 pre-registered clients, who will benefit from this initiative that runs on a first-come first-served basis. You can make your contribution and keep up with all the latest updates and view the campaign's progress on NGOHub's crowdfunding platform. SAYS is the official online media partner of NGOHub. The platform exists to ensure that proceeds collected will go straight into hands of the NGOs that need it, such as Great Heart Charity Association. An RM5 contribution from you could mean a day's food and drink for another person. Imagine the difference that you can make in someone's life. At the time of writing, more than 40 donors have contributed about RM2,750 to the crowdfunding campaign. Malaysians can now contribute to a social cause conveniently with ease of mind. "If it's possible, the society should accept everyone just as they are."